100 Questions and Answers on Electrical Safety is an essential guide for electricians needing quick, expert advice on the most critical workplace safety issues. A great resource for fast review of important safety tips, procedures, and guidelines, this handy reference contains frequently asked questions posed to industry expert and Chairman of the NFPA 70E® Committee, Ray A. Jones. Carbon Monoxide a Clear and Present Danger is the collaborative effort of several of the brightest in the field of carbon monoxide detection, combustion analysis, and remediation. The DEWALT® Construction Safety & OSHA Handbook is an easy-to-understand reference for the complex safety and OSHA regulations that construction professionals face every day. The book provides comprehensive coverage on the requirements, standards, and safe work practices that should be adhered to on any jobsite. Because the more complicated topics have been translated into simple, straightforward terms, workers can spend their time focusing on the OSHA-compliant practices that are emphasized instead of getting bogged down with complicated regulatory language. Information is featured for everything that contractors, service technicians, maintenance personnel, plant managers, engineers, designers, and architects need to know about OSHA. All of the essential safety requirements for construction job sites across the US are brought together into this one, single-volume resource for industry professionals. More than 350 pages of OSHA-compliant reference material gives readers total access to critical safety information. 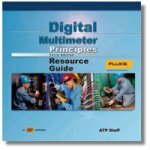 This DVD video, with DVD-ROM Reference Material, includes step-by-step procedures for using digital multimeters. Electrical safety, based on the NFPA 70E® standards and the use of personal protective equipment (PPE), is depicted throughout this video. The easy-to-follow format aids in comprehension and simplifies instruction. Electrical Safety: A Practical Guide to OSHA and NFPA 70E® is a comprehensive overview of electrical safety in the workplace. The textbook features chapters on approach boundaries, working on energized circuits, establishing an electrically safe work environment, and choosing and inspecting personal protective equipment. Both OSHA regulations and the NFPA 70E® 2018 standards are covered to provide a clear overview of proper electrical safety procedures. The Electrical Safety Handbook is an easy-to-use, illustrated source of life-saving information tailored to fit specific work environments. Written by renowned experts in electrical construction safety and medicine, the Electrical Safety Handbook is the reference professionals trust for up-to-date and easy-to-follow safety strategies in industrial and commercial electrical systems. Large, comfortable ergonomically-designed handle, grasp from the top or side. Allows for use with gloves. 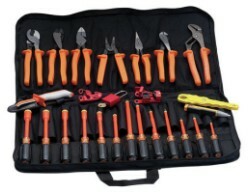 A must for electrical safety professionals, instructors, electrical workers, and contractors! The NJATC trains top-quality electrical workers across the country. This Third Edition text covers electrical safety requirements and safety-related work practices of OSHA and the National Fire Protection Association electrical safety in the workplace code, NFPA 70E®. Specific topics include electrical safety culture, hazard awareness, design considerations, electrical safety program, training, calculation of short-circuit currents, arc flash hazard analysis methods, PPE, and equipment maintenance. The much needed solution to a void that has existed for apprentices seeking to become journeymen linemen and anyone training to work on electrical utility circuits. Packaged as a convenient, single-volume reference guide on the operation of electrical utility systems, this book will give you what other resources won't: practical coverage of the equipment and situations that power line workers are exposed to on a daily basis, with a focus on ensuring concepts are meaningful and applicable. Industry demand for the safety, health, and productivity of building occupants requires the routine monitoring of indoor air quality (IAQ) for contaminants by maintenance technicians and other industry personnel. As HVAC systems have become more technologically complex, taking accurate measurements of the quality if indoor air has become even more critical. Indoor Air Quality Solutions for Stationary Engineers provides an overview of what IAQ is, instruments and testing procedures, and how to maintain IAQ in institutional and commercial facilities. When a jobsite emergency arises, it's the people on the job that are the first responders. This gives those people — the contractors, the construction workers, and anyone else onsite — the critical responsibility of quickly and effectively acting to minimize damage and maximize safety. Prepare for this important role with JOBSITE FIRST AID: A FIELD GUIDE FOR THE CONSTRUCTION INDUSTRY. This book takes a systematic approach to responding to emergency situations, from minor burns to life-threatening events and situations. Fully updated with the latest NEC and OSHA standards, this one-stop portable guide contains the crucial electrical data, formulas, calculations, and safety information essential at any jobsite. The Lineman's and Cableman's Field Manual, Second Edition, provides easy-to-follow details on constructing, operating, and maintaining both overhead and underground electric distribution and transmission lines. Lineworker Rigging Practices is an introduction to the physical principles, safety considerations, and common practices involved in hoisting loads. This process involves planning a lift, evaluating and preparing a load, choosing appropriate rigging equipment, rigging a load, communicating hoisting instructions, and conducting a lift safely. Each step is critical to maintaining a controlled lift with a proper margin of safety. NFPA 70E® compliance saves lives, reduces liability, and helps avoid unexpected downtime and revenue loss. Now, the 2018 Standard takes another big step in changing the way America works. In a fraction of a second, an electrical incident can claim lives and cause permanently disabling injuries. In fact, hundreds of deaths and thousands of burn injuries occur each year due to shock, electrocution, arc flash, and arc blast -- and most could be prevented through compliance with NFPA 70E: Standard for Electrical Safety in the Workplace®. The 2018 NFPA 70E® Handbook is your comprehensive source for knowledge about NFPA 70E, electrical safety, and compliance. Many facilities have the potential for significant liabilities involving loss of life, serious injuries, and damage to equipment due to electrical hazards. Yet many company managers and owners are unaware of the electrical risks addressed by NFPA 70E: Standard for Electrical Safety in the Workplace®. Using NFPA 70E correctly is the key to saving lives, reducing injuries, and satisfying OSHA mandates for electrical safety -- and that's why the NFPA 70E Handbook is essential. The 2012 NFPA 70E responds to the challenges, making it easier to ensure an electrically safe working area and comply with OSHA 1910 Subpart S and OSHA 1926 Subpart K.
Workplace safety in the United States is evolving due to better awareness and implementation of NFPA 70E: Standard for Electrical Safety in the Workplace®. Yet hundreds of deaths and thousands of disabling injuries still occur each year due to shock, electrocution, arc flash, and arc blast -- and most could be prevented through NFPA 70E compliance. Originally developed at OSHA's request, NFPA 70E responds to new information about the effects of arc flash, arc blast, and direct current (dc) hazards, and recent developments in electrical design and Personal Protective Equipment (PPE). As the built environment and risks evolve, so do the challenges to protect people from fire and related hazards. NFPA®'s Life Safety Code is the most widely used source for strategies for occupant safety throughout the life of a building. Vital for architects, engineers, building owners and building managers, hospital administrators, and AHJs, NFPA 101 covers it all: Egress, sprinklers, alarms, emergency lighting, smoke barriers, special hazard protection, and much more. The 2009 Life Safety Code® Handbook has the practical insights and solutions you need! Life safety has evolved! Don't let uncertainty about what new LSC requirements mean or how to apply them slow down jobs and compromise safety. Put reliable application advice at your fingertips with NFPA®'s exclusive 2009 Life Safety Code Handbook. Avoid mistakes and redos. Get practical, authoritative support on every project with instant answers and solutions in the LSC Handbook. Occupational Safety & Health provides an overview of potential workplace hazards, necessary safety practices, and how various processes need to be managed in order to maintain a safe workplace. This textbook is designed for use in introductory safety courses and by professionals who want to advance in the field as well as individuals who need to understand and implement safety programs. 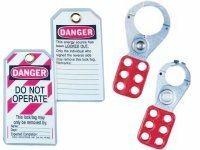 Rigging, Hoisting, and Signaling Practices is an introduction to the equipment, calculations, and procedures required for the safe handling and transportation of materials by hoists or cranes. This textbook is relevant for all personnel involved in lifting operations and can be used as part of a training program for certification preparation. Topics include industry standards and certifications, crane types and dynamics, signaling procedures, lift planning, weight and balance, sling loads, rigging components, equipment handling, hoists, and lifting procedures. Rigging and Lifting Principles is an introduction to the equipment, calculations, and procedures required for the safe handling and transportation of materials by hoists or cranes. Topics include weight and balance, lift points, rigging components, equipment handling, hoists, cranes, and lifting procedures. Safety practices are discussed throughout this textbook. 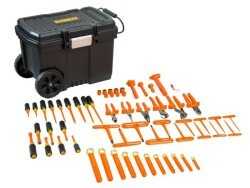 Safe Work Practices for the Electrician takes a unique, blended learning approach to the topic to provide students and working electricians with a clear overview of how to accurately incorporate safety regulations and theory with every day work tasks. Based on NFPA 70E®, the National Electrical Code, and the most current OSHA regulations, this introductory text covers the fundamentals of electrical safety along with common work practice hazards, providing tips for identifying potential dangers and ways to avoid or mitigate each risk for the protection of electrical workers. Significant Changes to NFPA 70E® Pocket Guide, 2018 edition, provides authoritative, succinct, and in depth coverage of the major changes contained in the 2018 NFPA 70E®. The pocket guide is designed to efficiently convey the most significant changes (not all changes) in the 2018 edition of NFPA 70E®. With years of experience in the field and as a safety instructor, the author provides insightful interpretations of key concepts that familiarize users with the major changes contained in the latest edition of NFPA 70E®. Significant Changes to NFPA 70E® Pocket Guide, 2012 edition, provides authoritative, succinct, and in depth coverage of the major changes contained in the 2012 NFPA 70E®. The pocket guide is designed to efficiently convey the most significant changes (not all changes) in the 2012 edition of NFPA 70E®. The book can be used as a reference tool for experienced safety officials or as an introductory guide for employees with less experience. Ugly’s Electrical Safety and NFPA 70E® is the first pocket-sized summary of NFPA 70E 2012 with comparisons to current OSHA regulations and the 2011 National Electrical Code®. Analyze risks and work smart! Every electrician on the job needs the User's Guide to Electrical PPE. This full-color manual to Personal Protective Equipment (PPE) is a "must" for the practicing electrical contractor or electrician. Based on NFPA 70E®: Standard for Electrical Safety in the Workplace® and written by Ray Jones, the top ranking expert in electrical safety, User's Guide to Electrical PPE helps workers and supervisors competently analyze risks and take the action needed to avoid electrical contract injuries. Welding Skills is an industry-leading textbook designed to provide the essential knowledge and skill-building exercises necessary to succeed in today’s welding industry. This easy-to-comprehend textbook features hundreds of full-color illustrations and application photos to illustrate key concepts, while easy-to-use charts consolidate key information for quick reference. Welding: Skills, Processes, and Practices for Entry-Level Welders is an exciting new series that has been designed specifically to support the American Welding Society’s (AWS) SENSE EG2.0 training guidelines. Assists learners to produce workmanship samples that meet AWS’s specifications for welder performance qualification. Gas Metal Arc Welding Safety and Equipment, Setup, and Operation. Gas Metal Arc Welding . Flux Cored Arc Welding Safety and Equipment, Setup, and Operation. Shielded Metal Arc Equipment, Setup and Operation. Shielded Metal Arc Welding of Plate. Advanced Shielded Metal Arc Welding. Gas Tungsten Arc Welding Equipment, Setup, Operation and Filler Metals.